The castle's maitre d', Lumiere can melt the heart of any woman using sweet words and a charming charisma. He is turned into a living candelabra by the Enchantress, and eagerly awaits the day when he can be human again. Ever the romantic, he encourages the blossoming relationship between the Beast and Belle and has promised Sora to act as peacekeeper between the squabbling couple. Lumiere has a love/hate relationship with Cogsworth, who is his foil in every way, but the two are in reality very good friends. 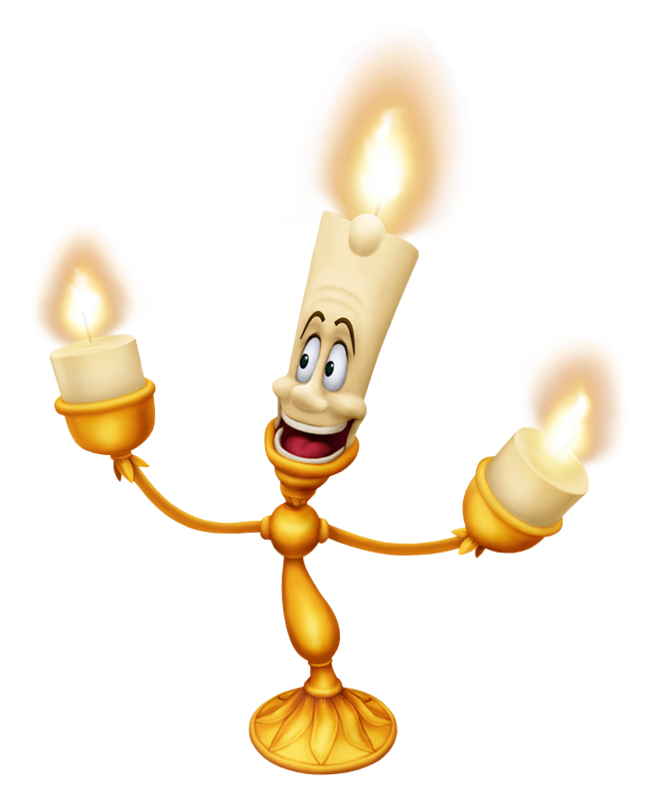 Lumiere is best described as the life of the party. His personality shines as bright as the fire that burns on the ends of his candle sticks… Or at least it was. Lumiere is concerned for the Beast and the possibility that he never may return to his non-candelabra form. In order to help, Lumiere helps keep watch of the castle alongside his companion Cogsworth.